I thought about it for a moment before answering “Scaling a startup is a lot like trying to boil water when camping”. Here’s how. Startup founders, especially first-time founders, inevitably start with attempting to boil the ocean (in our case, the lake). By definition, an early stage startup is a company looking for a product market fit. You may have assumptions of who your buyer is and what they buy, but it almost always changes as the company matures. The journey to finding the product-market fit is the process of trying to boil the lake. You must get away from that as soon as possible and zero in on a narrow audience where you are seeing the traction with your product. Even if your product works for everyone (and very few products do), likely the cost of the customer acquisition will vary depending on who you sell to. For example, everyone arguably could use a mattress, but recent university graduates move the most, and hence, have the most immediate need for new mattresses. As such, less effort is required to acquire them as new customers reducing the cost of customer acquisition. Where is your cheapest batch of potential customers? This is like finding the cleanest spot of water, free of grit and the odd creature, from where to fill your (TAM) bucket. We have the water in our TAM bucket. Now that’s far more manageable than boiling a lake. Next we move to the problem of actually boiling the water. A scattergun approach might be to set your pail of water in the forest, and set the forest on fire. The water boils now! Everything boils now including you. Not good. Early on you are trying to figure out not only the product-market fit but also a channel-market fit. How do I reach my market in the most efficient way possible? – is what you need to find the answer to. Setting this forest fire of SEO optimization, conferences, podcasting, blogging, and PR is expensive and disorienting. Double down on channels that work as soon as you can. Okay, you have abandoned the forest fire idea and instead opted to build a campfire. Your fire is now under control, and you can boil the water, but it may take a long time. Problems such as wet firewood not catching fire well, wood burning out too fast, difficulty in finding wood, foul weather, all make for a variable and inconsistent process, thereby increasing risk of failure. Keep hiring and coaching your team. Try new tools. Dig deep into data for insights and use these to improve processes. 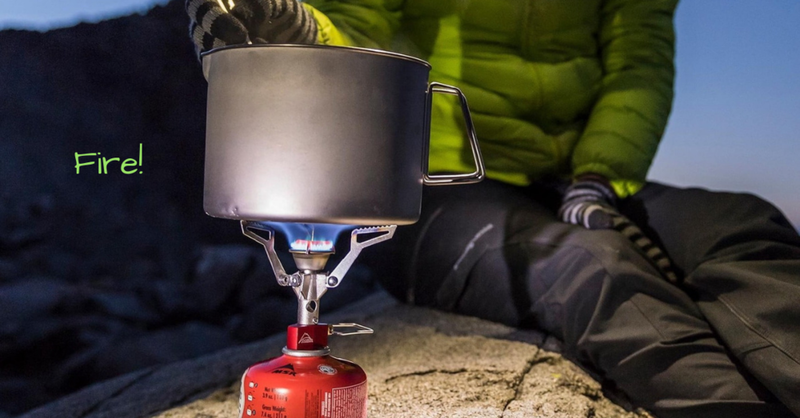 Having a camp stove is the ultimate camping hack. That’s exactly what you need to aim to become – a hyper efficient, unstoppable powerhouse to dominate your total addressable market. Camp stoves are directional, and extremely efficient. Be like a camp stove. Now that it works, start upgrading. Continue building the culture of hiring, work on staff retention, keep innovating the product and its distribution, break into new customer segments. Newer PostToday I am 31. Here is the main lesson I learned this year.